AT&T CEO Randall Stephenson, speaking at the Sanford Bernstein Strategic Decisions conference, teased a possible solution for customers who feel beleaguered by tiered data, and who have been avoiding data-heavy services due to plan limitations. Stephenson suggested that, as part of new "toll free" data plans, certain data-hungry services' traffic would be excluded from users' monthly data allotment, meaning that services like, for example, Netflix, could be used without eating up your entire data plan. "I think you'd be stunned if we weren't getting those phone calls. We are getting those phone calls," he said. "The content guys are asking for it." Officials from Verizon Wireless and T-Mobile have individually indicated an interest in toll-free data plans, but haven't outwardly committed to the idea as yet. Stephenson indicated that these plans, which would be fueled by content providers' willingness to pay for traffic, could be available within the next 12 months. 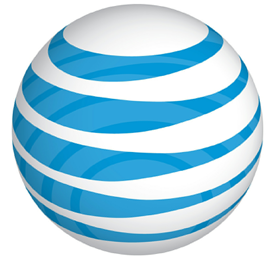 While few details surrounding AT&T's toll-free plans are currently available, we'll be here to update you with any new information that emerges. To read more (and for a link to the webcast), just hit the source link below.